As consumers are becoming more green-conscious, businesses are rushing to deliver the sustainable products, services, and business practices they want. But how do businesses do this without sacrificing profitability? Can business keep the earth and the bottom line healthy? 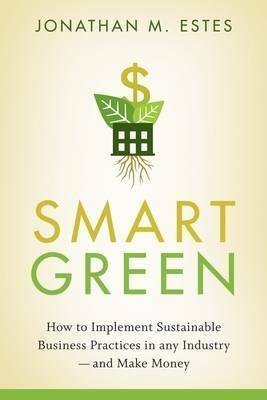 In Smart Green, Jonathan Estes shows that sustainable practices can be good for the environment and for business itself. Smart Green uses case studies and basic business principles to show how businesses can merge sustainability models with entrepreneurial approaches to achieve a healthier earth and healthy profit margins. For any business that wants to go green but can't risk jeopardizing profitability, Smart Green offers an analytical model that ensures profitability, lowers risk, and decreases its environmental impact. Jonathan M. Estes (Chapel Hill, NC) is cofounder and Senior Analyst at Strategic Measures, Inc., a management consulting firm that empowers leaders and teams to make decisions with an eye toward social equity, environmental stewardship, and profits.